I am not sure of my dates here, or my facts, which were told me by Wolfram and not verified by another source. Wolfram may have been eighteen when he and his mother went to Majorca on holiday and met Janet and her mother Dot, from Barrowford, Lancashire. Janet was four years younger, an extremely pretty girl with long blonde hair. The two fell in love and had a holiday romance, which continued after they went home, Janet keeping up a correspondence. Later, when she was 17 or 18, Janet had an argument with her mother and ran away to Germany, turning up on the Thomes' doorstep. After living with the family a year, Grandfather said he thought the two had better get married. According to Wolfram, they bought the house next door and moved in, furnishing it handsomely with help from his mother. 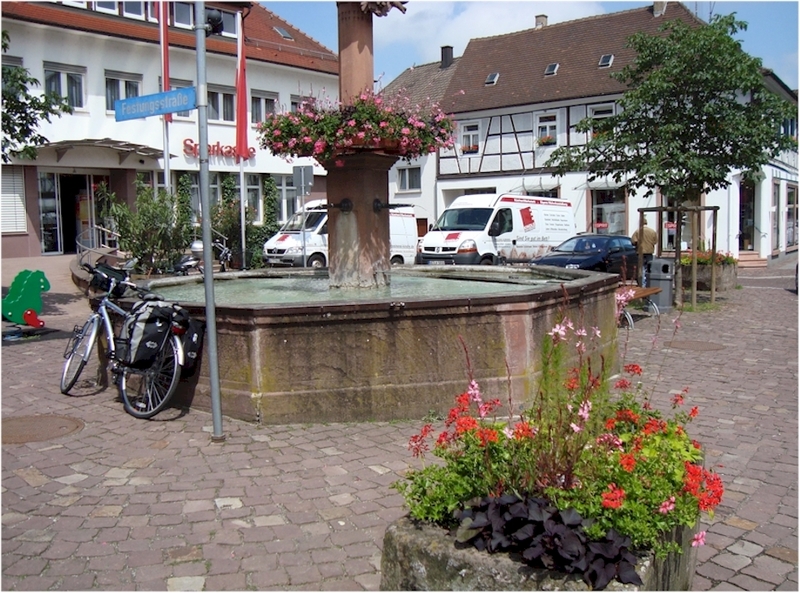 I later learned from Janet that this was not true, that they lived in a flat in Ettenheim. After eight months, Janet declared that she was homesick and wanted to return to England. Excited by this prospect, Wolfram agreed. The bit about the furniture was true, his mother told me how upset she was that all the money she spent was wasted. To Wolfram's dismay, finding work in England was not so easy as in Germany, where special efforts and concessions are made to disabled workers. No one can refuse a person a job on grounds of disability, and must provide whatever help is needed for them to be able to do it. Plus they get extra time off and extra money on top of their wage (source: Wolfram). 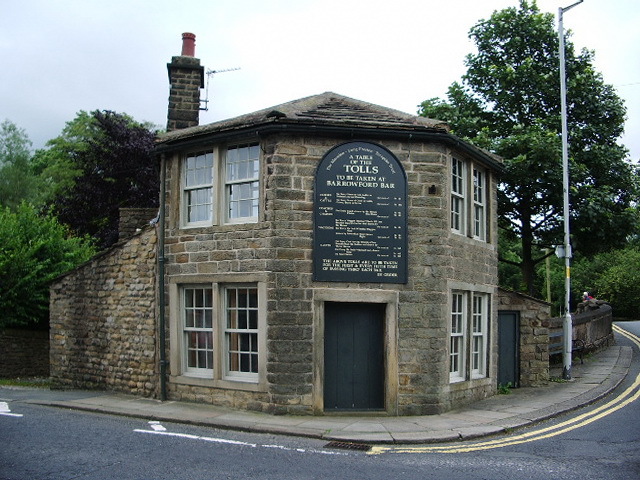 To his credit, he got a job with Tosney's Dye Works, and the couple bought a house in Barrowford. Janet also worked, and Wolfram took part time gardening jobs to supplement his income (Source: Wolfram). In time, a child was born, and named Jamie, but there were difficulties in the marriage and by the time Jamie was five the couple had split up. That was just the start of Wolfram's bad luck. He undertook to keep the house on, but then Tosney's decided to move to Baildon in Yorkshire. They offered Wolfram a job there, but he chose to stay where he was. Familiarity of surroundings is important to a blind person, and he felt more insecure now that he was alone. He was unable to find another job and consequently lost the house through failure to pay the mortgage. So when I met him, in 1986, he had lost just about everything - wife, son, job and house. He was steadily drinking his way through what money he had left. A stroke of good luck came his way when Bob Gillibrand, for whom he occasionally worked as a marquee erector, secured a contract for flagging an estate in Colne, and was able to offer him regular work. This really was good luck, as only someone who knew his capabilities would have employed him in that role, his blindness excluding him with most employers. They did the flagging with a team of labourers during the day, and went marquee erecting at night. Wolfram was extremely proud of his strength, which he worked to maintain with weightlifting. It was his boast that he could erect the marquee centre pole entirely unaided, a feat he performed with great regularity. It is no exaggeration to say that he did the work of three men, and soon Gillibrand was able to take on twice the work, leaving Wolfram to lead one team of erectors, while he managed the other himself. So when Wolfram moved in with me later that year, he was in full employment. Alas, that came to an end with the end of the contract and although the marquee business continued, I was not prepared to let Wolfram take the risk of working illegally, and to be fair, he had so increased Gillibrand's income that I felt he deserved to stay on the books. During the first year we lived together, Wolfram repeatedly asked me to marry him, but I always said no. He was not exactly what I wanted in a fourth husband - tired of marrying by this time, I said if I married again it would only be for financial gain - and Wolfram had no money; not only that, he had debts as I later found out. When I gave in, it was because of special circumstances - which you can read about in Part 2 of my autobiography - 'A Walk on the Blind Side' - still being written. Suffice it to say that these were mystical and spiritual circumstances and so astonishing that I immediately said "We've got to get married". I was studying astrology, and Wolfram's chart is still the most difficult I have ever seen. All his planets bar one (Venus) are within a narrow degree band (between 20 & 28 degrees of their sign) and this means that every planet has a relationship of some kind - good or bad - with every other planet. And this means that 'everything happens at once' - things come at him from all directions - good and bad at the same time. The remaining planet, Venus, is at 7 deg of Capricorn, and directly opposite my Venus at 7 Cancer. And when we met, the outermost planet Pluto was moving into 7 Scorpio, influencing both Venus positions favourably - directing each of us to meet the love of our life. And so it was. You can't choose who you fall in love with. And what I found, through astrology, is that when two people meet, a third astrological chart is formed, that of 'the relationship'. And that both destinies are influenced by this combined chart. October 10, 1987. 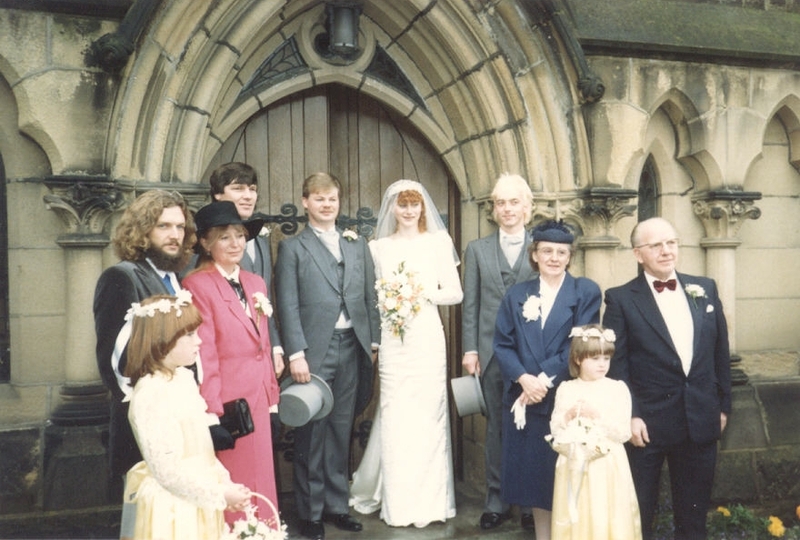 Wolf & Val, having married earlier in the day, attend the wedding of Val's son Graham to Clare Skelly at Silsden Catholic Church. Val made Clare's wedding dress.